More then just a pretty flower! Pot Marigold or Calendula is an amazing ingredient in our Complexion Repair Line. It is used to disinfect minor wounds and to treat infections of the skin including pustules. The antibacterial properties of this plant make it useful in treating acne and other skin conditions. 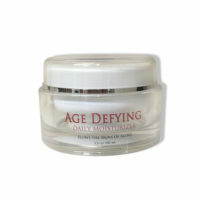 The herb stimulates the production of collagen at breakout sites to aid in minimizing scarring. Calendula oil is distilled from the flower tops and is quite sticky and viscous. It has a very strange smell described as musky and woody. Calendula has a high content of flavonoids, chemicals that act as anti-oxidants in the body. Anti-oxidants are thought to protect body cells from damage caused by a chemical process called oxidation. Oxidation produces oxygen free radicals, natural chemicals that may suppress immune function. Calendula is one of several herbs used traditionally to treat conjunctivitis and other eye inflammations as it helps to reduce the swelling and redness of eye infections. It is also believed that calendula may have some anti-spasmodic action, and as such, it has been used to relieve menstrual cramps. 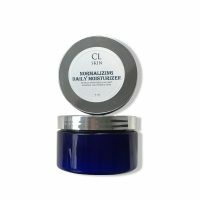 Skin dryness or chapping – Calendula oil is a great moisturizer for dry skin and for severely chapped or split skin. It soothes the area and reduces the pain. Calendula oil is also used to protect the skin from premature aging and thinning of the skin. 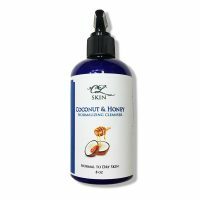 It is safe enough to be used on the delicate skin under the eyes to help prevent crow’s feet. Inflammation – Calendula oil also helps treat spider veins, varicose veins, leg ulcers, and chilblains. 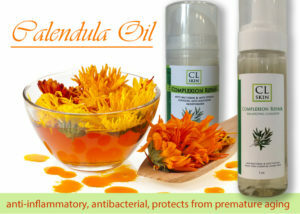 Calendula’s effect on inflammation and tissue regeneration makes it an effective natural wound healer. Baby care – The oil helps relief diaper rashes, which can be extremely irritating to an infant. Minor cuts and wounds – The antiseptic and antimicrobial action of the oil help speed up healing of wounds and minor cuts, and also benefit insect bites, juvenile acne and dry phthiriasis. acne, and bed sores. Complexion Repair is all about finding the balance between deep cleansing, hydration, and healing with a blend of essential oils and calendula. Implementing the entire line will leave your skin hydrated, but not oily, healed but not dry.